Hi! I was a member of the Purr Scouts!! Below are the badges I earned. This is a Gambel's quail - they are very popular in Tucson, Arizona! 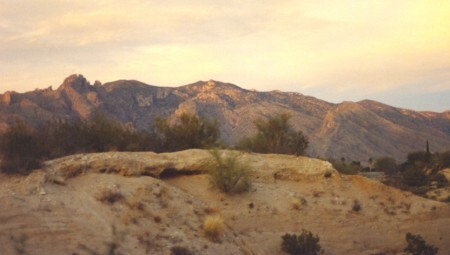 I like hiking in the Catalina mountains in Tucson, Arizona! 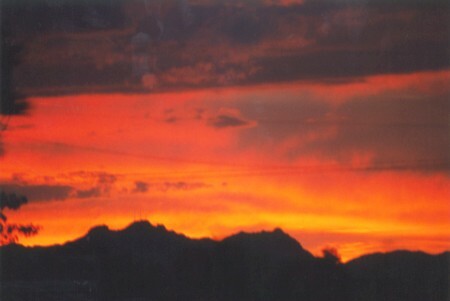 I watch a beautiful Arizona sunset at the end of a hike! After earning 3 badges I became an Explorer Purr Scout! I got my Halloween Badge by going to the Purr Scouts Halloween Party in 1999! 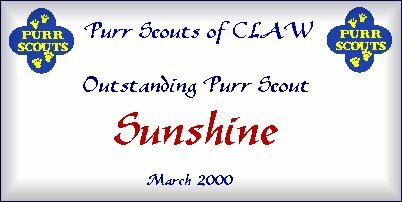 I was in the Purr Scouts Webpage Contest! I earned this Christmas badge by decorating a tree for the Purr Scout's Holiday Wish Forest! You can see the tree I decorated on my Christmas Memories page! This is the Valentine Designer badge I received for designing a Valentine's card! Visit Sunshine's Valentine page to see the card! This is my Adopt-a-Grandkitty badge! I received this badge fur interacting with a Grandkitty from CLAW's Older Cats Society! Here is my Earth Day badge! 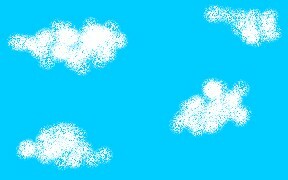 I designed this banner for the badge. 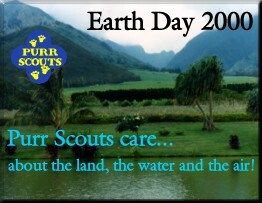 Click the banner to see the Purr Scouts Earth Day page! Animated leaf graphic, background, and photos by Linda Bennett. Other graphics by The Animation Factory, Purr Scouts designers, and the banner is by Purr Scout Sir Walley.